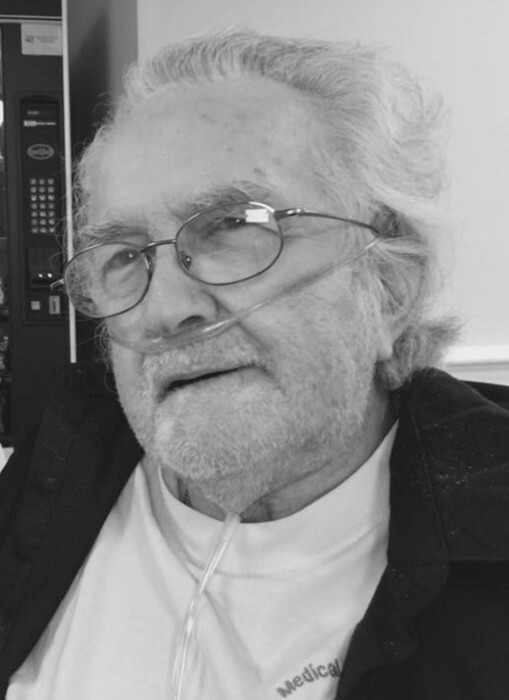 Thomas Francis Driscoll Sr., 80, of Lyman, died on January 17, 2019 at Maine Medical Center. Thomas was born in Somerville, Massachusetts, on April 27, 1938, the son of Daniel and Elizabeth (Coughlan) Driscoll. He attended Somerville schools before entering the United States Army. Thomas married Dianne (Brennan) Driscoll, who predeceased him (2015). This union produced 3 children. On June 27, 1981 Thomas married the love of his life Kathleen MacDonald. This union produced 2 more sons. Thomas was a member of the VFW. He liked to make jewelry, find a good deal, and country music. He loved wildlife, the outdoors, and Maine living. He enjoyed 44 years of sobriety and was proud of his work as a substance abuse counselor. He will be remembered for making people laugh. Thomas is survived by his children, Daniel Driscoll of Gloucester MA, Diane Driscoll of Medford MA, Thomas Driscoll Jr. and his husband Chris Mullin of South Easton MA, Timothy Driscoll of Lyman, and Corey Driscoll of Saco. His sister Mary Hadfield of Nashua NH. A grandson Shawn Driscoll-Gomez. As well as many Nieces and Nephews. He was predeceased by his Parents, Wife Kathleen, Wife Dianne (Brennan) Driscoll, Brother Robert Driscoll, and Sisters Helen Halloran, and Marguerite Bowen. Visiting Hours will 11:00 a.m. 1:00 p.m. on Wednesday, January 23, 2019 at Hope Memorial Chapel, 480 Elm Street, Biddeford, ME 04005. A Funeral Service will follow at 1:00 p.m. Burial will be in Woodlawn Cemetery in the spring. To share condolences online, please visit www.HopeMemorial.com.